Holiday Equipment Special! 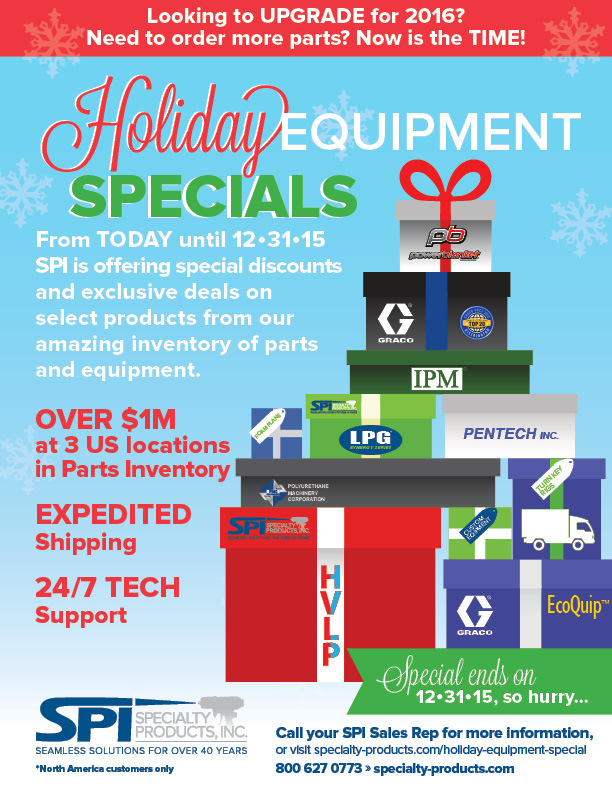 holiday-equipment-special – Specialty Products, Inc.
SPI is offering limited time Holiday Specials on equipment and parts! Looking to UPGRADE for 2016? Need to order more parts? Now is the TIME! GRACO – PMC – IPM – PenTech – SPI LPG – GRACO EcoQuip – SPI HVLP – SPI Foam Plane – SPI Turn Key Rigs – Power Blanket – and more! Remember we also offer Personal Protection Equipment!